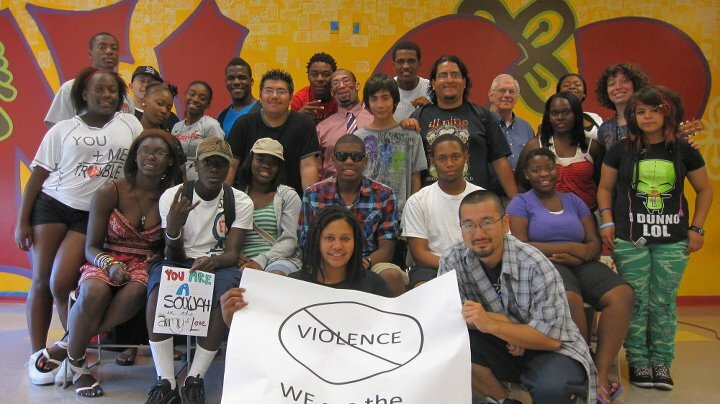 One of the greatest honors I’ve had as a trainer in Kingian Nonviolence has been my participation in the past two annual, week-long Advanced Youth Certification Trainings at Chicago’s North Lawndale College Prep Academy (NLCP). The annual training is part of a school-wide commitment to institutionalizing the philosophy of Kingian Nonviolence, a commitment that has brought the school a significant (70-80%) reduction in violence. The school, located in Chicago’s west side, made the commitment several years ago after a school-year that was filled with violence. Tiffany Childress, an NLCP science teacher, civic engagement director, Kingian Nonviolence trainer and a very good friend of mine, led the charge that resulted in an incredible transformation at the school. The work that is happening there is incredible, and it is a model that other schools throughout the country should be looking to replicate. Hopefully people will start taking note. This week, the newest issue of Rethinking Schools – a magazine dedicated to improving this country’s school systems – came out, with an article I wrote about the work happening at NLCP. Please take a look and share it with your friends and colleagues. It’s been a great honor for me to have been able to work with the teachers, administrators, and students of NLCP. Their commitment to building positive peace needs to be recognized, and their success should be national news. Read the article HERE. See video testimonials from student Peace Warriors and photos of our work after the jump. This entry was posted on Tuesday, January 10th, 2012 at 4:23 am and is filed under NLCP High School, Nonviolence, PPW Productions, PPWN Update. You can follow any responses to this entry through the RSS 2.0 feed. You can leave a response, or trackback from your own site.